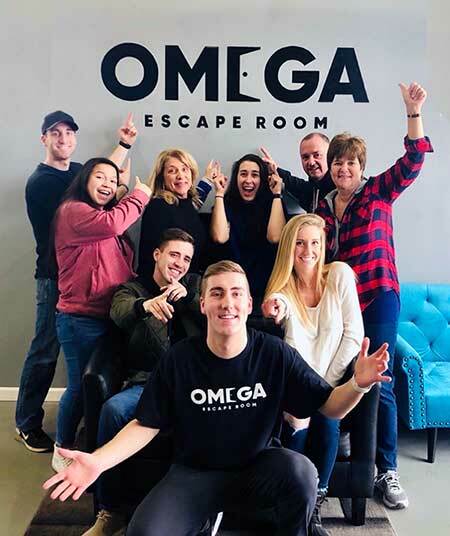 Omega Escape Room is an immersive, 4-dimensional game venue that puts your team’s logic, deduction and puzzle-solving skills to the test! Our rooms are designed to transport you to other times, other lands, and sometimes even other dimensions to give you a fun and memorable experience of a lifetime. You will never forget your adventure at Omega Escape Room Hamburg! We are located just a short drive from Buffalo, NY in the great town of Hamburg, NY. We welcome all of our Buffalo brothers and sisters to come check us out! Prior bookings are recommended if you want to be sure to get the room and time you want! If you would like to book a room outside of regular business hours, please contact us and we’ll be happy to work with you to set up a custom booking. Work together to solve the puzzles and escape the room! Tired of the same old corporate outings? Our escape rooms are sure to be a fun and exciting event that will boost morale and have everyone talking about it! Escape Rooms are a unique way to do a team-building event. Cooperation and communication are key to the success in solving the rooms puzzles and ultimately escaping.